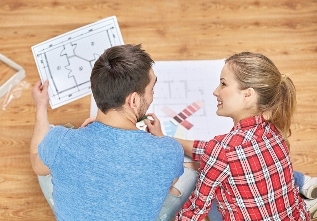 Completing home renovations or paying for higher education expenses? Our home equity loans and lines of credit offer great rates and can be used for a number of purposes. Mid Penn Bank is proud to offer home equity loans and lines of credit to homeowners in local communities across the state of Pennsylvania. From Lancaster to Harrisburg to Scottdale, our local team members will be happy to help you with home equity at your nearest location. By using the equity you’ve built up in your primary residence, a fixed rate Home Equity Loan is the perfect way to borrow money for fixing up your home, paying for college or other borrowing needs you may have. 1 – Consult a tax advisor. A Home Equity Line of Credit (HELOC) is specifically designed to serve the needs of qualified home owners as an alternative to traditional loans. With a line of credit, you can pay down what you owe and continue borrowing against the account up to your credit limit. Use your line of credit to pay for larger expenses or ongoing expenses such as college costs. A line of credit also doesn’t have to be used right away. You can take out a line of credit now and keep it open for emergencies or future purchases. Mid Penn Bank is pleased to offer highly competitive home equity loan rates and lines of credit to homeowners throughout Pennsylvania. If you’re not yet a homeowner, we also have a range of personal loan options for you. In either case, our team would be happy to answer your questions and to get you started.